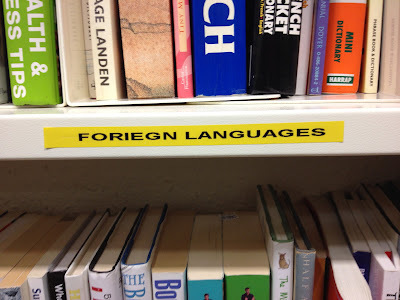 If you find yourself in Peterborough any time soon, take a few minutes to browse the bookshelves in the Oxfam shop. You might spot these fine attempts at labelling. 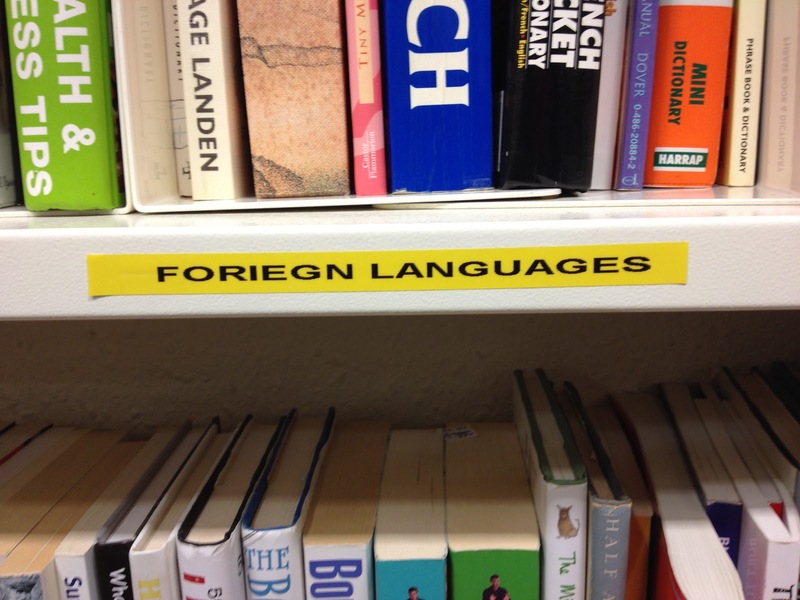 OK. That's foreign languages cracked. Time to broaden our horizons. Thanks are due to MTH's good friend and contributor, Jon C.
You'll probably spot him in the Oxfam shop too. I may have spoken too soon. 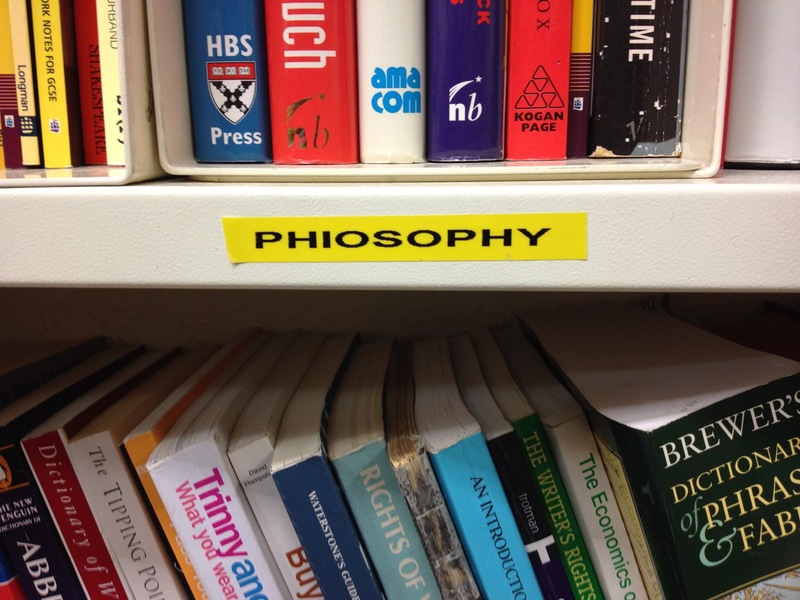 Apparently there is an actual Phiosophy Department at Simon Fraser University in British Columbia. Hard to credit that they travel all the way from Canada to Cambridgeshire to donate their old books to Oxfam, but awfully generous of them. 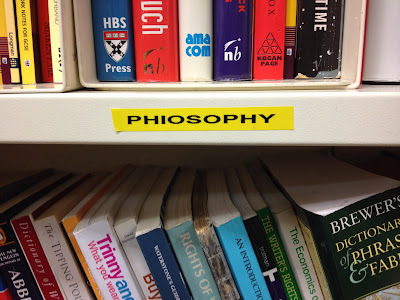 What's more, Google suggests that Phiosophy is well and truly alive and kicking, with about 165,000 entries found.